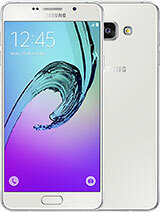 Below is a 4 file service repair firmware for Odin Flash File PIT Partition, AP/PDA, BL BOOTLOADER , Multi CSC, AP/MODEM from official samsung for android device Samsung Galaxy A7 2016 with model number SM-A710S that can be used to unbricking from bootloop/softbrick, hardbrick, lost recovery, locked bootloader, virus removal or Fix Unknown IMEI, Baseband / No signal. The firmware below is the original rom from the official samsung KIES or without being modified. Fordroid.com is not responsible if your devices is hardbrick or total dead after flashing the rom, we always try to present accurate content here, but the risk is still your own. So, please be careful in selecting firmware. AP = PDA = HOME , if you unpacking .tar archives you can find Boot.img , System.img , Recovery.img and more. If you have any question or found broken link. Please leave on comment form below, thanks. Source: Images GsmArena, File XDA, Updato, samsung-update and all android developer. Copyright © 2018 Fordroid All right reserved.